Regnian Collection – For the love of stories. WritingBrowse current and past writing projects. AboutMotivations, inspirations, and sideways information. Project Status’Information on past, current, and projects. A rotation of current projects. 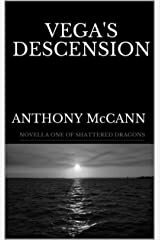 When she descended through the thin layer of cloud cover, Annwe was stunned, speechless at what she saw. Through her watery eyes, the city of Marrakech appeared through the haze of heat huddled against the acidic ocean water of the Atlantic, the western beaches of Africa sprawling the horizon in the distance. The deep aroma of pine with hints of cedar filled his lungs as he took another deep breath; he couldn’t scream without it. The darkness was thick making his movements feel fuzzy, or maybe that was from the hyperventilating. 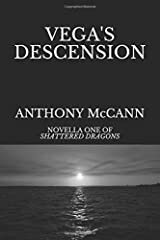 Either way, the Obsidian colored atmosphere reminded him of the thick dark molasses his mother used to cook with, a black so absolute around him that it was almost viscous. The mist that rose was colored golden with hints of gray rising slowly from the ground. The tendrils wrapped themselves around the limbs of the cold flesh belonging to a man lying dead and broken in the sand. Blood that had seeped into the area around the lifeless husk began rising in the form of wisps of light and smoke to join the beginnings of the morning’s dew. The sound of the plucked strings of the shamisen always reminded her of the ocean waves as the vibrato of sound moved through her. It was less the notes she played and more how they bounced off of one another as she fluidly moved her hand across the fretless lute. The sounds of hissing steam and random whistles across the city were a distant dream as she cleared her mind of the world around her and let muscle memory take control of the song. Dreana could feel the mirror crack against the back of her skull, and she tried to cry out, but the mask covered her mouth. ‘She’s so strong,’ Dreana thought before she felt the pain. Points dug into Dreana. With horror, she realized the spikes on the front of the mask were reversing into her skin. She didn’t have time to wonder why, or how, she could only feel the points stabbing into her with a cacophonous laughter from Nomeda filling her ears as she held her against the broken mirror. Be the first to get notified of giveaways and new releases!